Because we all want to follow in Mia and Seb's carefully choreographed footsteps. If the Academy could award cities for Best Actor in a Leading Role, Los Angeles would be in the running for its unprecedented perormance in La La Land. Sure, Ryan Gosling and Emma Stone show off some pretty fancy footwork, but director Damien Chazelle's nostalgic depiction of the storied culture and topography of Los Angeles ties the just-hokey-enough musical together. Surprisingly, many movies set in Los Angeles aren’t even filmed here (Trumbo, The Nice Guys), but La La Land's most climactic scenes are filmed at distinctive and storied landmarks across the city. Below are 12 of the actual locations in La La Land where Los Angeles truly outdid itself. Griffith Park is one of the film's focal points as different parts of the 4,300 acre park are featured as the plot unfolds. Perhaps the most memorable dance scene takes place in the Observatory building itself, where visitors can enjoy stunning views and take in a show at the planetarium. There are also numerous hiking trails throughout the park as mapped out here by local trail whisperer, Modern Hiker. 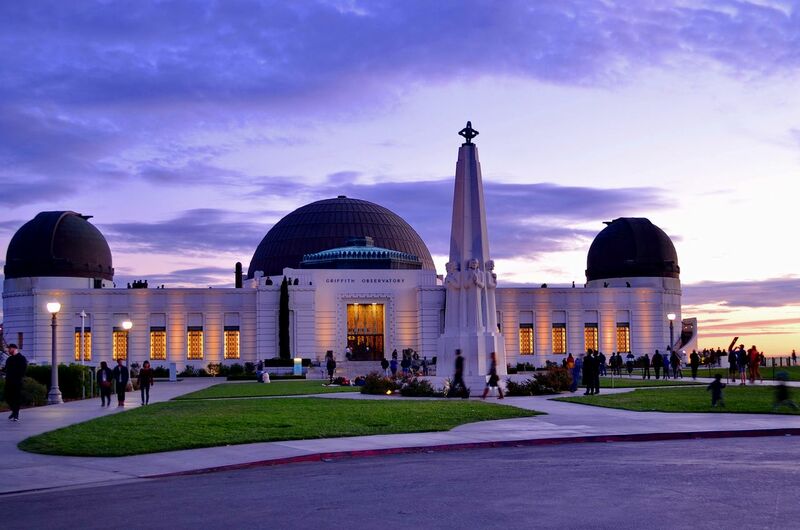 Director Damien Chazelle described Griffith Park to Entertainment Weekly as "...a monument the same way that the Arc de Triomphe or Big Ben are monuments, but those rise out of a clustered urban environment. Griffith sits atop a hill as if it’s in its own world. That speaks to the sprawl and the spirit of Los Angeles. It’s totally, authentically, ironically its own thing." Needless to say, there is nowhere else like Griffith Park. Dubbed “Lipton’s” in the movie, Smoke House is the restaurant where Sebastian is hired to play unbearable holiday music. The restaurant has stood across the street from the Warner Bros. lot in Burbank since 1946. It’s an old-timey Hollywood spot that offers classics like steak and lobster, their signature prime rib, and chicken pot pie. Stop by after taking a tour of the WB lot, which conveniently houses the location of the fictional café where Mia mans the espresso machine. 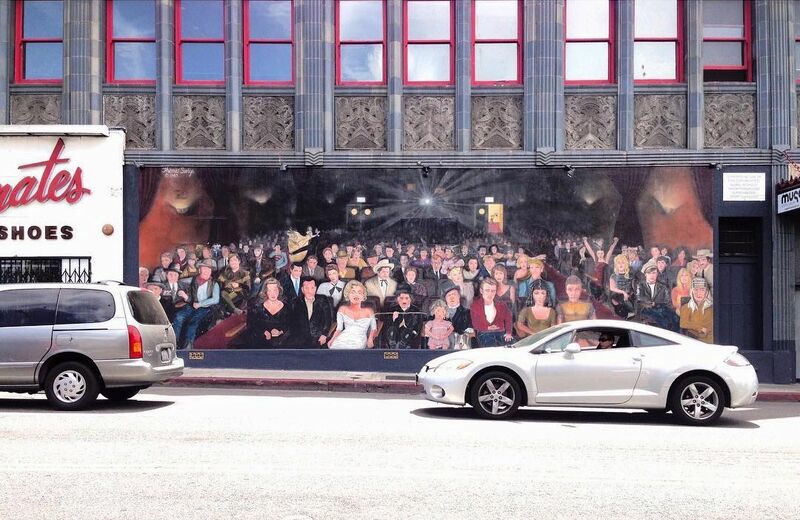 A nod to classic Hollywood, this famous mural on the Hollywood Walk of Fame serves as the exterior of Lipton’s. Painted by Thomas Suriya in 1983, the mural depicts Humphrey Bogart, Lauren Bacall, Marilyn Monroe, James Dean and other Hollywood heavy hitters sitting in a theatre. 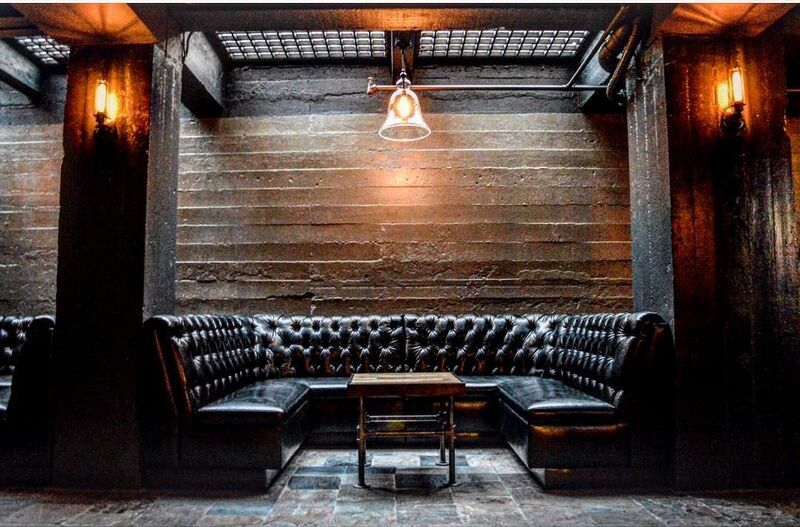 The interior of Seb’s was shot at The Blind Donkey, a decidedly chill whiskey bar in downtown Long Beach. Choose from an impressive array of the dark stuff, draft beers, craft cocktails and elevated bar food. There’s also a game room in which “Geeks Who Drink” regularly host trivia nights. If you close your eyes and just believe, maybe Seb himself will slide into a black leather booth with you. 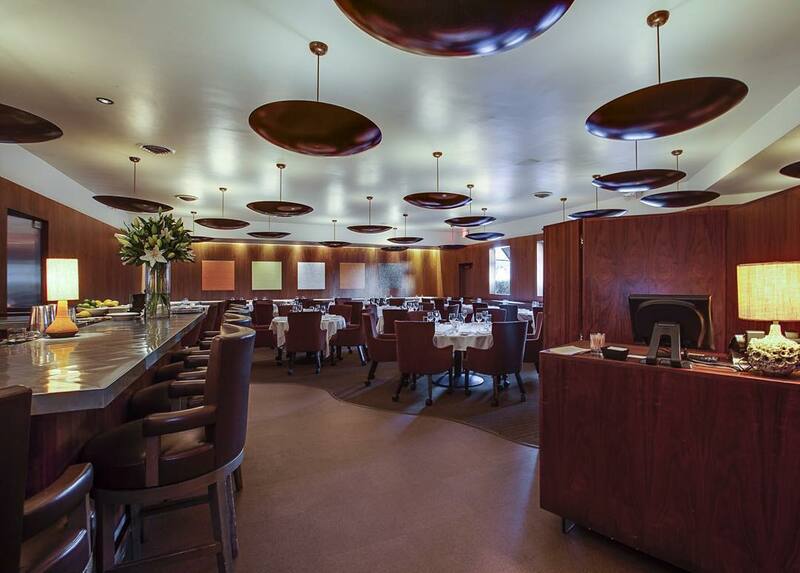 Unfortunately, this highly acclaimed modern American chophouse helmed by steak boss, Suzanne Tracht was underappreciated by Mia, who scoots out in the middle of dinner with her boring boyfriend and his family to be with Seb. In reality, this LA landmark meat haven offers up perfect steaks and classy vibes, perfect for any special occasion. Be sure to try the signature pot roast. Grand Central Market only shows up briefly during a montage, but it’s one of LA’s hippest and most historic food destinations. 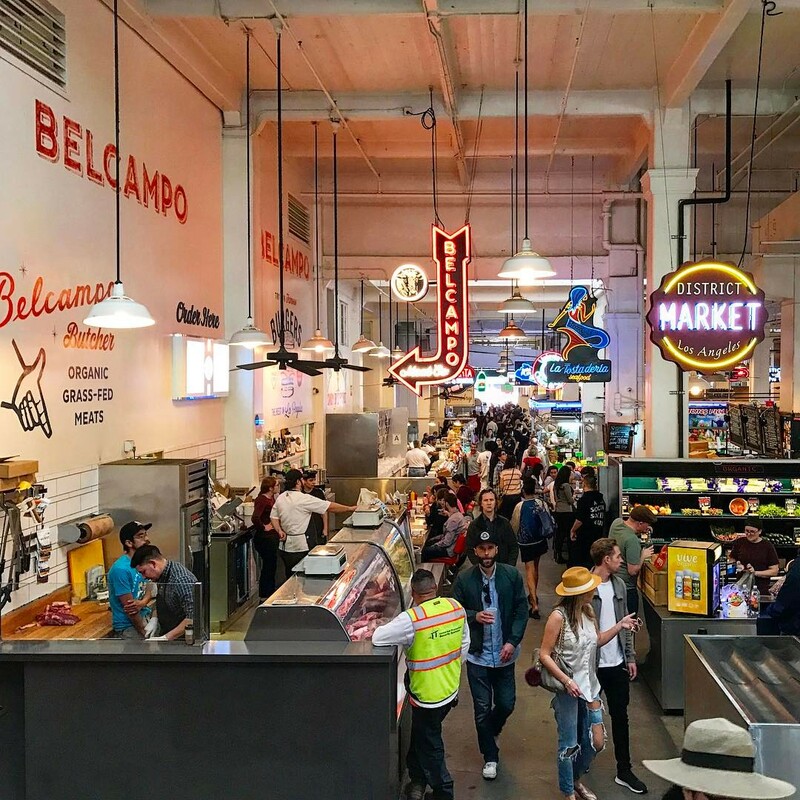 The cavernous market in DTLA offers everything from authentic Mexican and Asian cuisines to trendy wine bars, expensive-but-worth-it-burgers and the sluttiest breakfast sandwiches in town. You (could and should) spend an entire day hopping from stall to stall. Mia and Sebastian visit Watts Towers, one of LA’s signature landmarks. 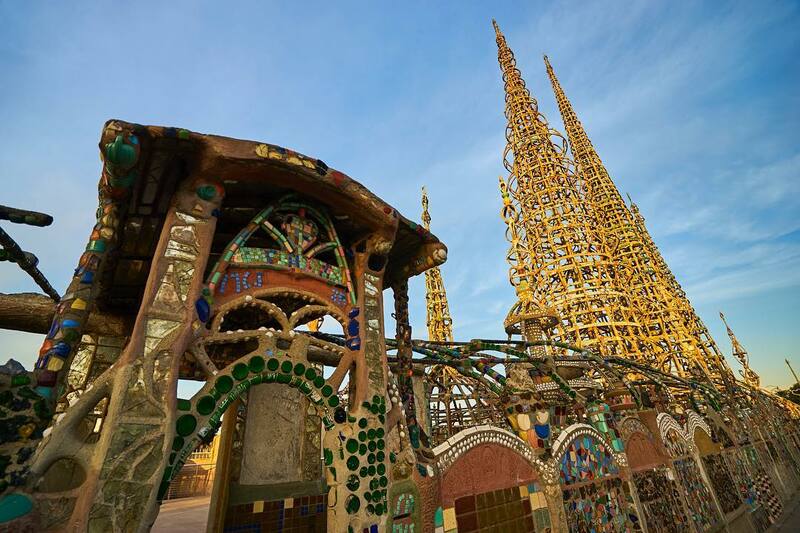 It took Italian immigrant Simon Rodia 33 years to build the enormous mixed media sculpture. It’s a can’t miss for LA natives and visitors alike. This art deco theater was used as the setting for a flashy performance by Keith (AKA John Legend) in the film. 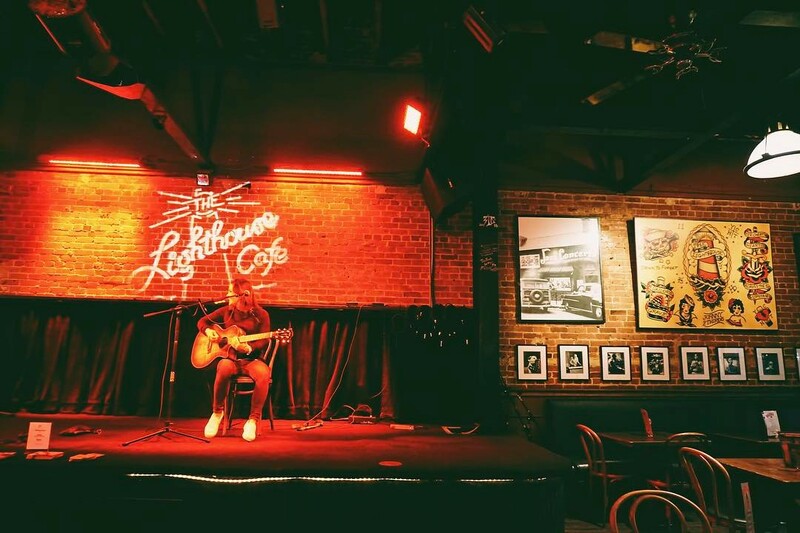 It’s one of LA’s most popular live-music venues and boasts an extensive roster of artists. 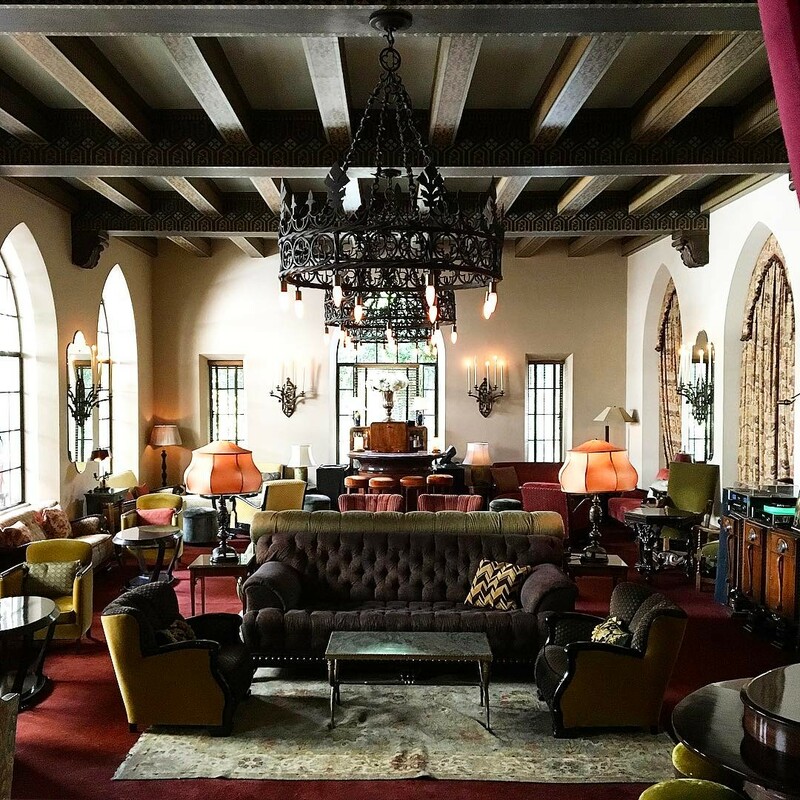 Perhaps the most famous hotel in LA and a bastion of the entertainment industry, Chateau Marmont is where Mia stays with her family after her acting career takes off. The Chateau is a glaring symbol that, hell yeah, she’s made it. As expected, the rooms cost a pretty penny, but Bar Marmont is great place to grab a drink among Hollywood’s movers and shakers. Here’s to the ones who dream! Alex Dew is a writer and native Angeleno who enjoys puppies, graveyards and protesting Donald Trump. Follow her shenanigans on Twitter and Instagram at @alexd3w. A jazz club since 1949, this spot now hosts an eclectic range of bands & serves brunch & bar food. 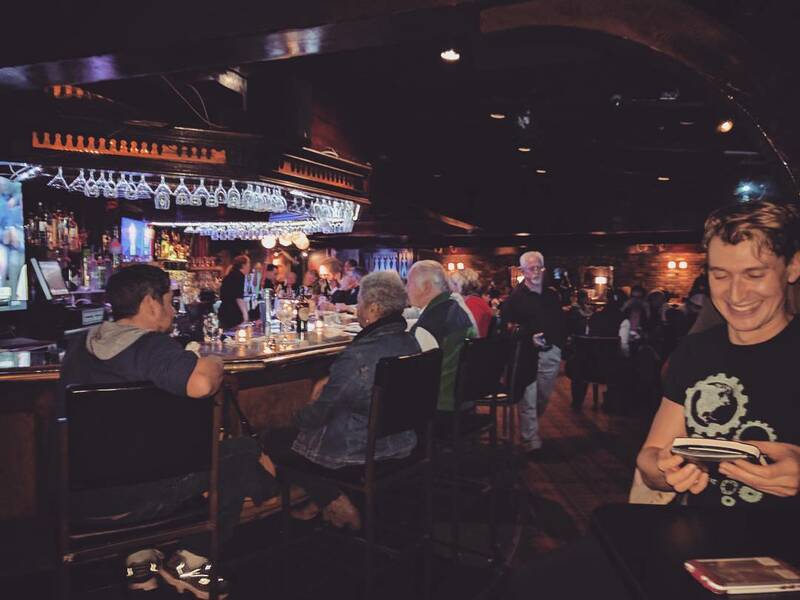 Stalwart spot serving up steakhouse standards amid dark wood & leather booths, with live music. Warner Bros. Studio Tour Hollywood is a public attraction situated inside Warner Bros. Studios, Burbank close to Hollywood and part of the greater Los Angeles area. Serving a menu of small-batch whiskeys, draft beer & American bar bites in an over-the-top setting. Upscale, retro-modern option for American comfort food, including pot roast & pudding. 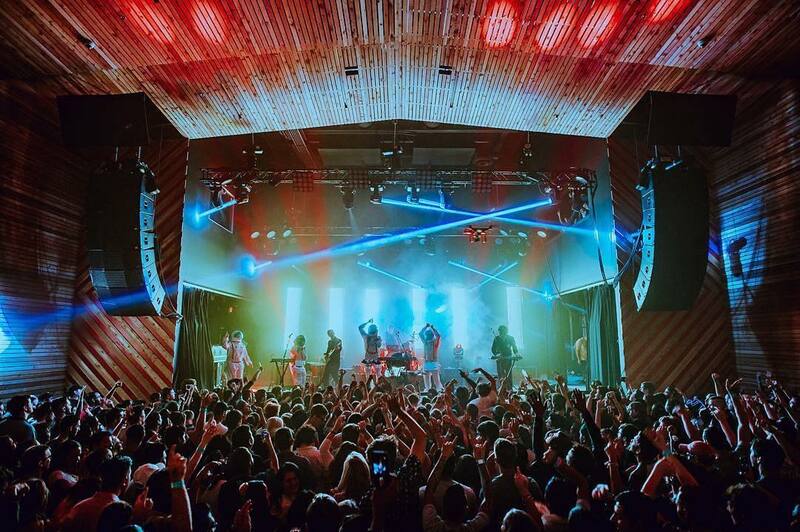 The El Rey Theatre is a live music venue in the Miracle Mile area of the Mid-Wilshire region in Los Angeles, California. "El Rey" means "The King" in Spanish. This art deco building was designed by Clifford A. Balch.